Stay unharmed while reaping the benefits of this poultry produce. The first and foremost precaution comes for your hands. You must wash your hands with hot-soapy water before and after handling raw eggs (or meat or any other poultry product). It will keep salmonella or other bacteria from spreading to other foods like toasts, paranthas, etc. Cook eggs to a minimum 160 degree internal temperature to kill the bacteria that could be straining raw eggs. As per experts, the safest egg recipes are hard-boiled eggs, over-hard eggs instead of sunny side-up, scrambled eggs, and baked egg dishes like quiche, as during the preparation the temperature easily reaches the recommended levels. 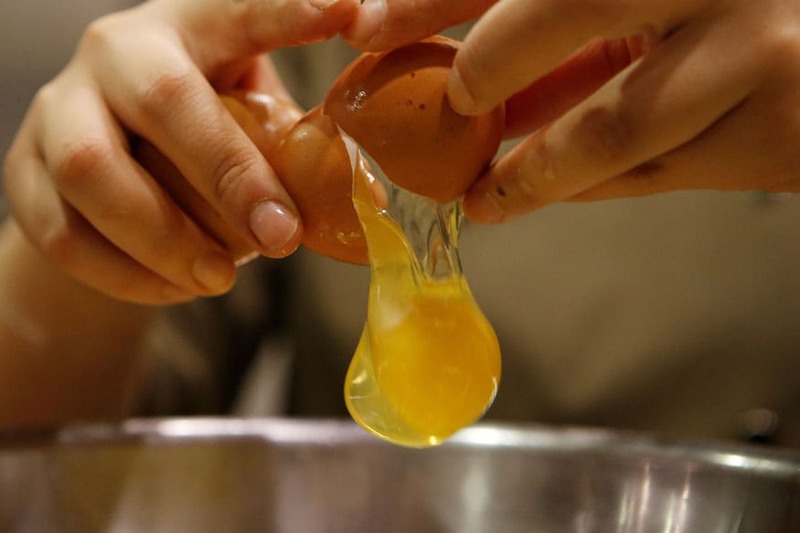 You must ensure that all the egg white as well as the yolk is settled and firm, there’s no runny part, and if you have to insert a toothpick it must come out clean. Keep raw eggs away from fresh fruits and veggies in your refrigerator to avoid transferring bacteria and microbes. Raw eggs must not come in contact with other fresh foods to keep the bacteria from spreading in your entire pantry.